I’m back from Alaska and I’m exhausted! We had an amazing time, but it was definitely the most physically demanding vacation I’ve ever been on. There was a lot of hiking whilst wearing heavy, uncomfortable waders and sore shoulders from fly fishing for hours, but it was all worth it. 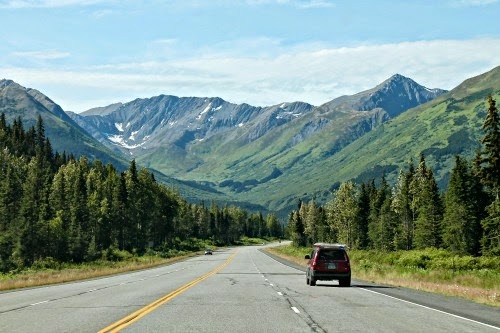 I’m still sorting and editing pictures from our trip, so today I’m only going to share the first couple days, including our drive from Anchorage to Soldotna. 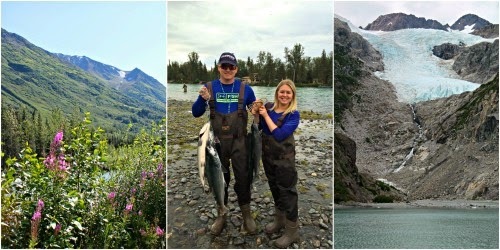 Next week I’ll share all of our fishing stories and pictures and the following week will be all about our Kenai Fjords National Park boat tour. We landed in Anchorage around 9 p.m. Monday night. It was almost 10 p.m. by the time we picked up our luggage and rental car and made it out of the airport…and it was still light outside! We knew it would be, but it was still really strange. It completely messed up my internal clock during our trip and I never seemed to know what time of the day it was. We checked into our hotel and turned in for the night. We were tired from traveling and my right ear never fully popped during our flight so I was pretty uncomfortable. Luckily it felt better in the morning and popped during my shower. The following morning we checked out of the hotel and went to Cabela’s to buy some fishing gear. We had bought waders ahead of time and we already had fishing reels, so we really only had to buy fishing poles, flies, and our fishing licenses. Once we had everything we grabbed breakfast and drove out of town. 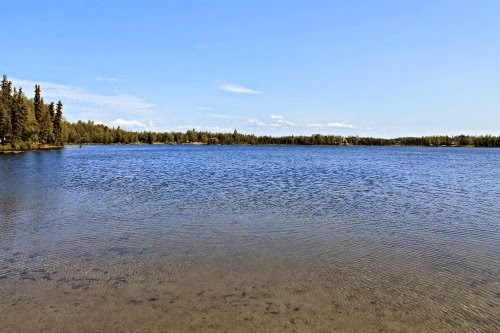 We headed towards Soldotna, where we would be staying for the remainder of our trip. 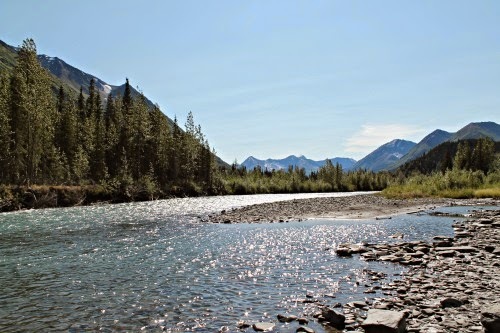 It’s a small city along the Kenai River and is a popular spot for salmon fishing. It’s about a three hour drive from Anchorage. I have to say that it has to be one of the prettiest drives I’ve ever been on. The first part of the drive is along the coast with the bay on one side and mountains and trees on the other side. The rest of the trip is through the mountains, surrounded by trees and rivers. We stopped at one point to walk down to the river to take some pictures and stretch our legs. Alaska really is one of the most beautiful places I’ve ever been. We arrived in Soldotna in the early afternoon and explored the town a bit. We also went to check out one of the lakes in the area, but never ended up fishing there. Trout just didn’t seem that exciting to catch once we started fishing for salmon. We ended up fishing that night and Wednesday night/morning. 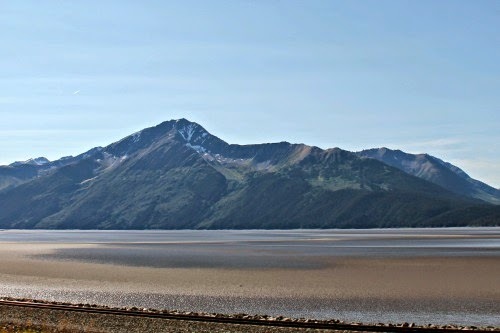 Thursday we drove to Seward to take a boat tour of Kenai Fjords National Park. Friday was our last day in Alaska so we fished in the morning than drove back to Anchorage in the evening for our 2 a.m. Saturday morning flight (ugh). Anyway, I’ll be sharing more details over the next couple weeks. Before I wrap up this post, I do want to talk about a couple of my favorite meals while in Alaska. 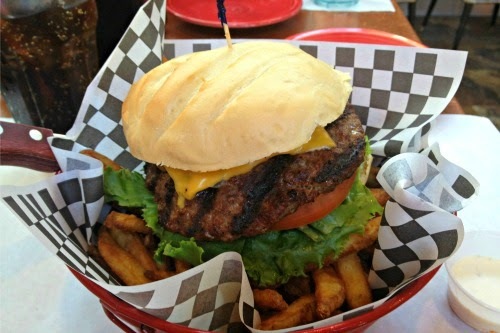 For dinner Wednesday night I had a caribou burger and it was delicious! The following night I had a reindeer sausage chili cheese dog. That was also delicious. Neither was gamey at all. I ordered both of them at Buckets Sports Grill, so if you are ever in Soldotna, I recommend trying at least one of those dishes. 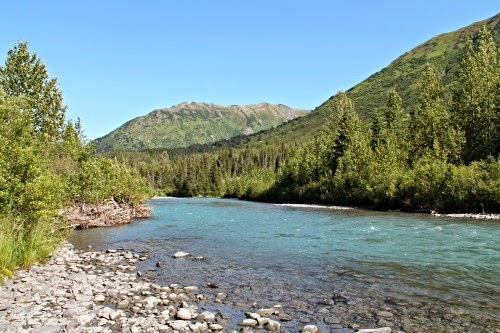 Next Week: Fishing for salmon in Alaska! Gah! I love it! It was so awesome to see all of your pictures and everything that you did. Looks like a blast! Plus that salmon looked delish... well. The cooked one did, the live one just looked upset. Wow, beautiful pictures!! Can't wait to see the rest of your trip!